It's raining, it's pouring...down-pouring, actually. Hooray for the rain! Not only do our poor, empty South Carolina lakes need a refill, but I'm seriously behind in writing.
. While I'm excited and honored to be included on the tour—particularly since we are not a traditional farm—I'm also nervous! I mean, honestly—who wants to tour an empty backyard? So, my friends, that's where I've been lately, building and digging and planting and prettifying. Fortunately, I'm making progress. 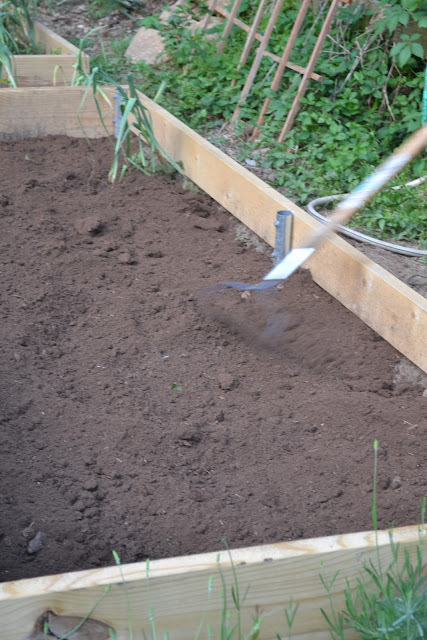 When I last updated about the six new raised beds for the large vegetable garden, we chatted about creating soil to fill the beds. Remember my perfect calculations to determine how much peat moss, vermiculite, and mushroom compost I would need to fill the beds? Well. Multiply that originally calculated 120 cubic feet...by 2. Guess who made a teeny, tiny boo-boo in her math? Now, in my defense, my math was correct. My ability to measure is what threw off the calculations. Remember how I mentioned that the original garden slopes? In designing the raised beds, Peter compensated for the sloping ground by building the beds to accommodate the slope—allowing the beds to appear straight, which resulted in a tiered garden. Can you see in the photo above how the board on the right side of each bed isn't as tall as the board on the left side of the bed? In fact, the board on the right side is six inches high—which is what I used to calculate the height of the bed. In reality, the bed is 12 inches deep. The left board is 12 inches high, and the right side is dug out to make the height also 12 inches. Length (10 feet) x Width (4 feet) x Height (1 foot, NOT .5 feet) = 40 cubic feet per bed, NOT 20 cubic feet...which is what I calculated. If you are building raised beds...I wish you a perfectly flat plot for your construction project. Let's talk about making soil. After all of the trauma and drama of getting another load of peat moss, compost, and vermiculite, we were ready to fill the beds. It's important to mix all of the components well. Remember our 1/3 ratios? You want 1/3 peat, 1/3 compost, and 1/3 vermiculite to comprise the soil in each bed. First, because it's so light, we added the peat directly into the bed. ...and thoroughly mixed the two with a rake. Then, we added the mushroom compost. And mixed. And mixed some more. 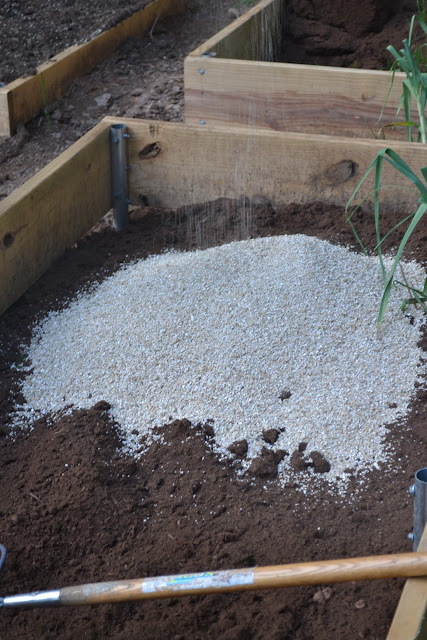 To ensure even distribution, we made half the soil for the bed, then started the process again—adding more peat and vermiculite on top of the already mixed ingredients, then raking in the mushroom compost—and finally mixing and smoothing the entire bed. Peat. Vermiculite. Compost. Mix. Repeat. Finally, with very tired arms and backs, the beds were ready. In three of the beds designated for tomatoes and peppers, though, I added lime to the mix. Lime adds calcium to the soil. Have you ever noticed a nasty brown/black spot on the bottom of your tomatoes? Blossom end rot is caused by a calcium deficiency in the plant. Lime helps keep your tomatoes looking lovely. One of my goals for our garden is to provide diverse, interesting, delicious produce for our family. In fact, I'm challenging myself to grow ALL of our produce this summer. But that's a story for another day. To meet that goal, though, I needed to plan strategically what to grow, how to space it, and how to prevent pests and diseases from decimating the crops. Additionally, all of the produce in the garden is grown from non-GMO, heirloom seeds...no super-powered Franken-plants to thwart diseases in my garden. Careful planning and maintenance are my superpowers of choice to keep the garden healthy. Typically, I plant in standard rows. Rows and rows of heirloom tomatoes and peppers, throwing in a few beans and squash. Now, with our new raised beds, I decided to implement a combination of companion planting and square foot gardening to maximize the output for each bed. Honestly, this project wasn't cheap, particularly when someone miscalculates the amount of soil needed. We need some serious return on investment here in the form of deliciousness. 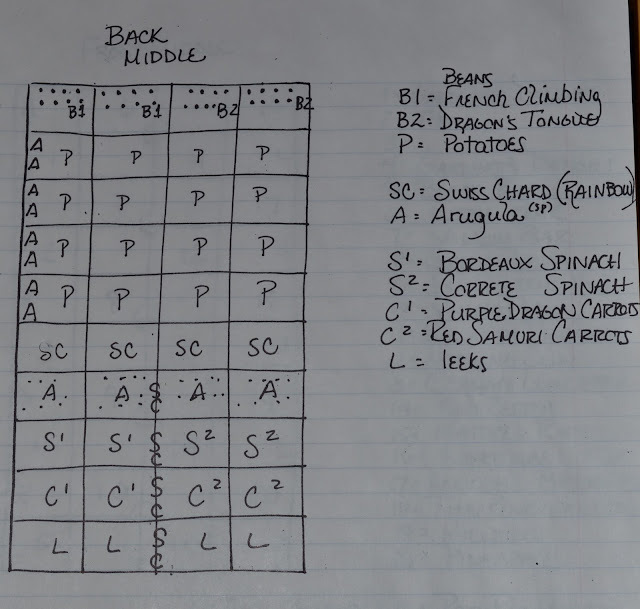 is an intensive planting technique that divides a bed into a grid of 12” boxes. Each square foot is planted according to the harvest size of the produce. For instance, one tomato plant can occupy a 12” square, while four Swiss Chard or 16 radishes would fit in that same space. 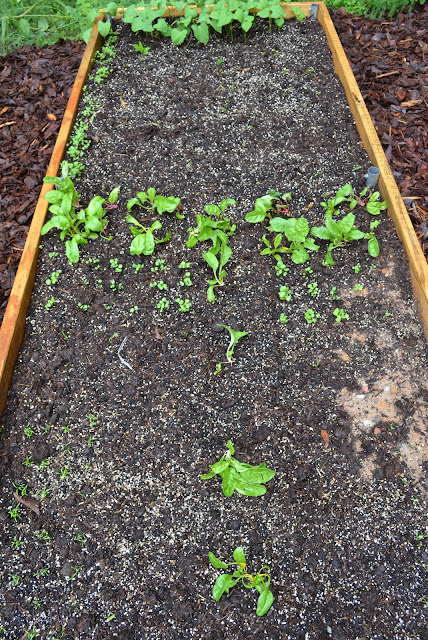 The founder of Square Foot Gardening would argue that I'm not truly following his methodology. Rather than installing a rigid, permanent grid on top of the beds, I used a trellis I had on hand as a guide for planting. By laying it across the top of the bed, I formed the needed grid pattern that indicated 12” x 12” squares—and then I planted accordingly. 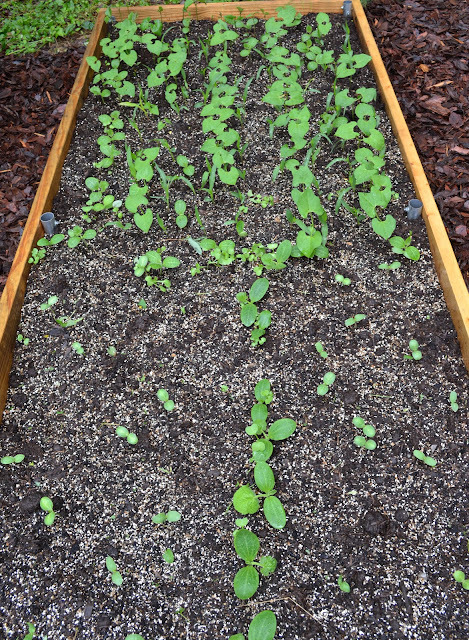 Along with the modified square foot gardening method, I decided to research which plants work well together. Companion planting is simply an interplanting technique—discovering which plants assist each other in growing well, which plants repel pests or attract beneficial insects, and even which plants repel one another. 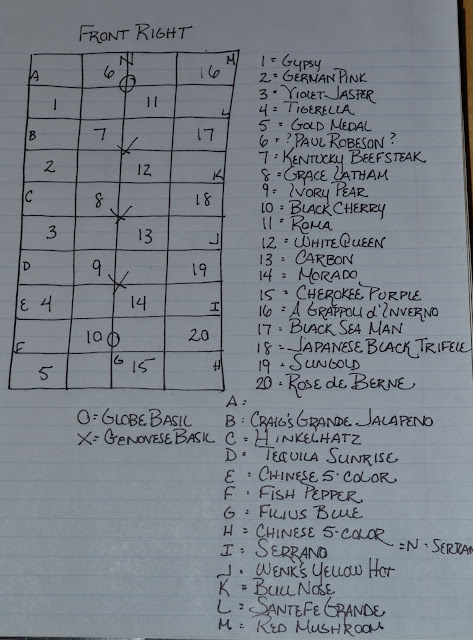 , I made a list of the vegetables I planned to plant. Then, I researched the plants that would coexist well together and repel various pests, as well as the plants to avoid as bedfellows. We've all heard about the Three Sisters Garden: corn, beans, and squash all are perfect companions. Beans provide nitrogen in the soil for the corn, corn supports the beans as a trellis, and squash serves as a mulch to keep the soil cool and weed free. However, I learned so much more when I delved into various companions. Last year, like so many of my friends, my squash bit the dust due to squash vine borers. 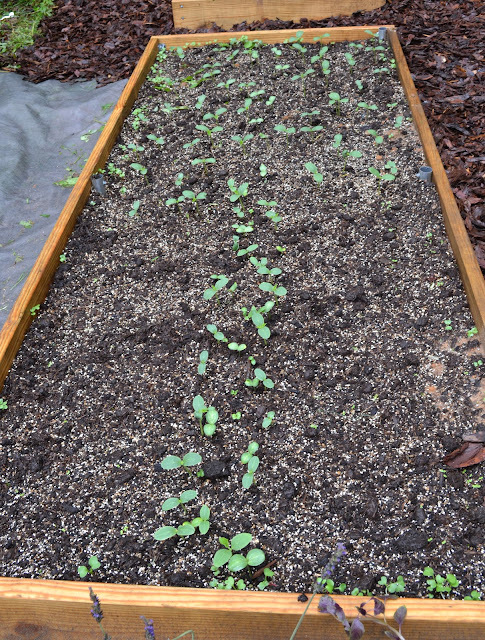 As I researched companions for the garden, I found that icicle radishes, planted in a squash hill and allowed to flower, help prevent squash vine borer. Squash and Icicle Radish Companions. 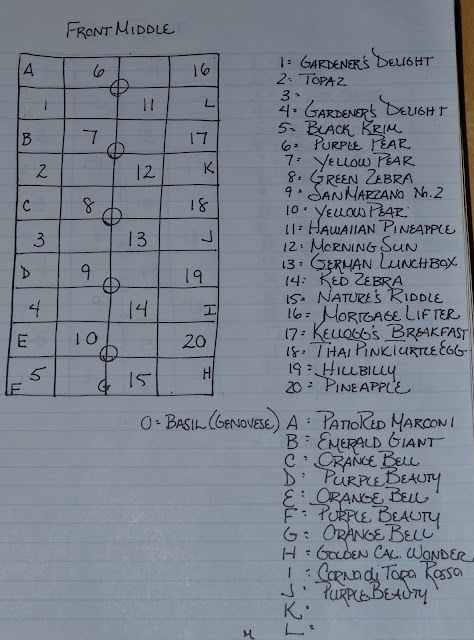 So, rather than quickly plant my garden haphazardly, as I have done so often in the past, I made a plan. A real plan. For each bed. The first part of the plan involved foresight. 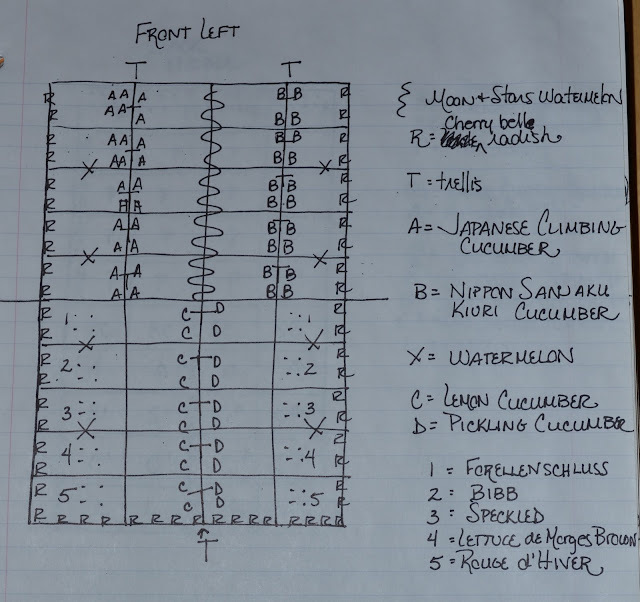 Because of the problems we've had in the past with soil borne disease, I created the garden plan looking forward to next summer—and planning crop rotation. My natural inclination is to plant every bed full of heirloom tomatoes. After all, I grew 160 varieties this year. How can you not want to plant one of each? 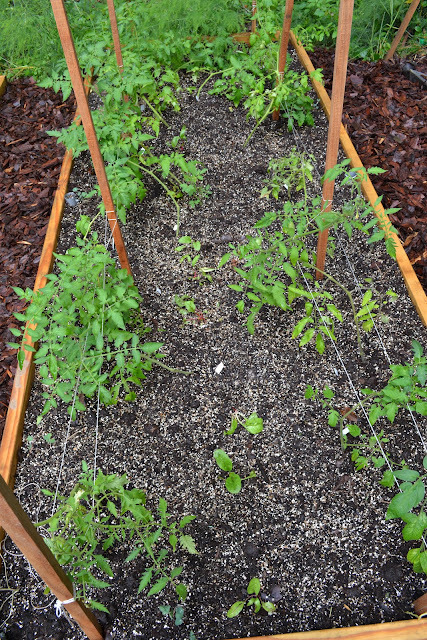 Instead, though, I reined in my tomato lust and contained the tomatoes to three beds—with the plan to rotate each year. And then, I couldn't read my writing. 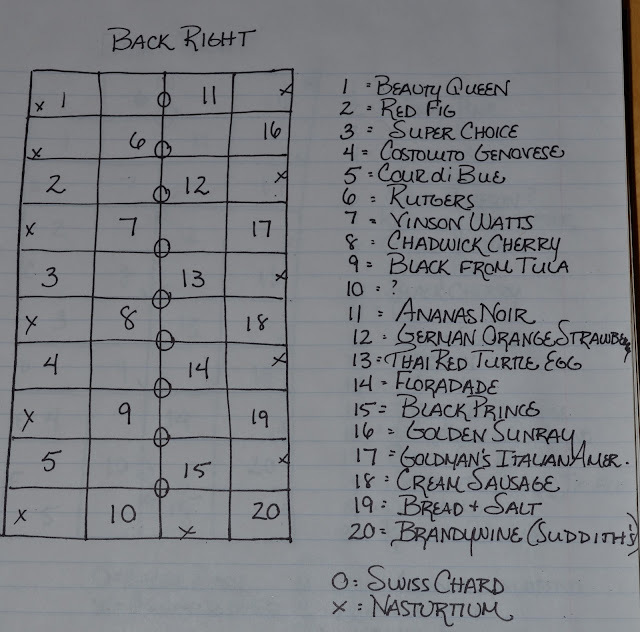 Middle Back:The Plan: beans, 2 varieties; potatoes, five varieties; Swiss Chard; arugula; spinach, 2 varieties; carrots, 2 varieties; leeks. So, there you have it, my friends. 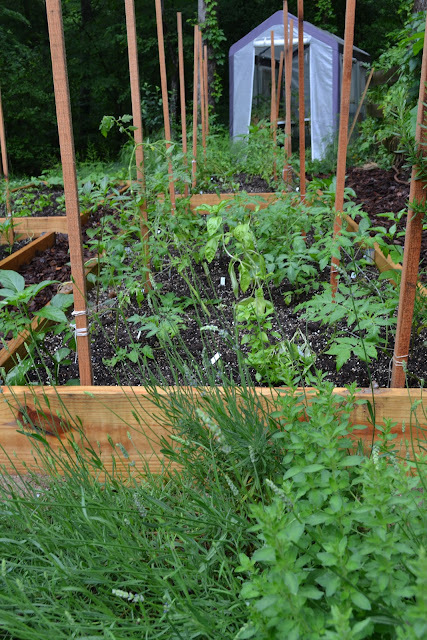 Six beds filled with potential garden delicacies. I can taste the bruschetta already. The sky is clear...and I'm afraid it's back to the garden I go. There's still mulch to spread and flowers to add. 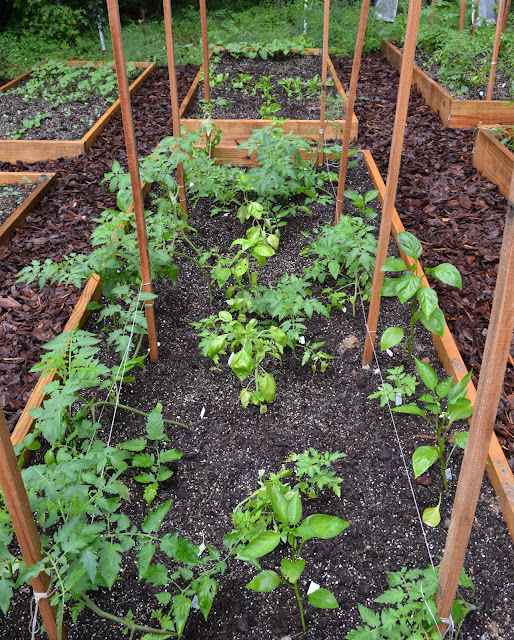 The Art of Raising Beds in the Veggie Garden.